Pocket | Business Cloud Inc.
Pocket! Another great app that we here at Business Cloud love and use on a daily basis. 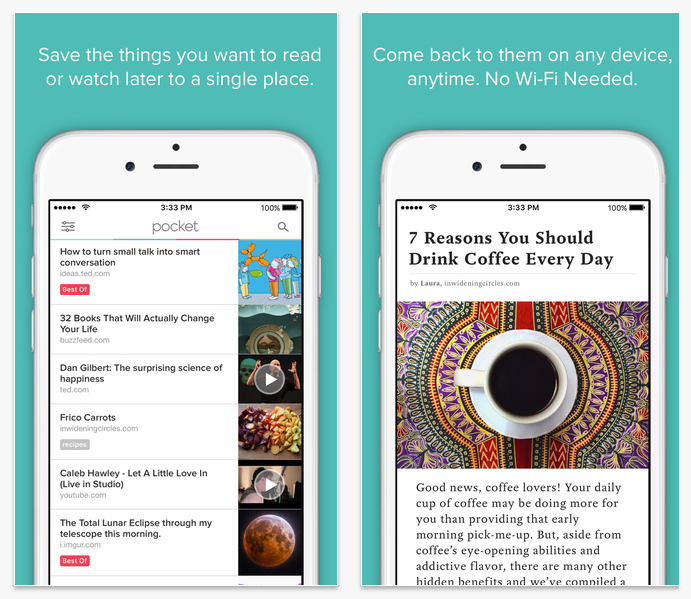 Pocket is perfect for saving articles, videos or web pages for later viewing. No longer will you have to email links to yourself. Simply click Save to Pocket and you are good to go! Viewing your saved content in Pocket has the added benefit of a better viewing experience without all the clutter and distractions you would see in the normal web view. Get your neat freak on by organizing your saved content with tags. That’s right, keep calm and tag on. Pocket also syncs across all your devices, as well as offering a desktop extension for Safari, Chrome, and Firefox. Another great feature Pocket offers is recommendations. You can share articles and videos with friends or across social media.